The post Good Data Debunking Popular Startup Myths appeared first on Planning, Startups, Stories. 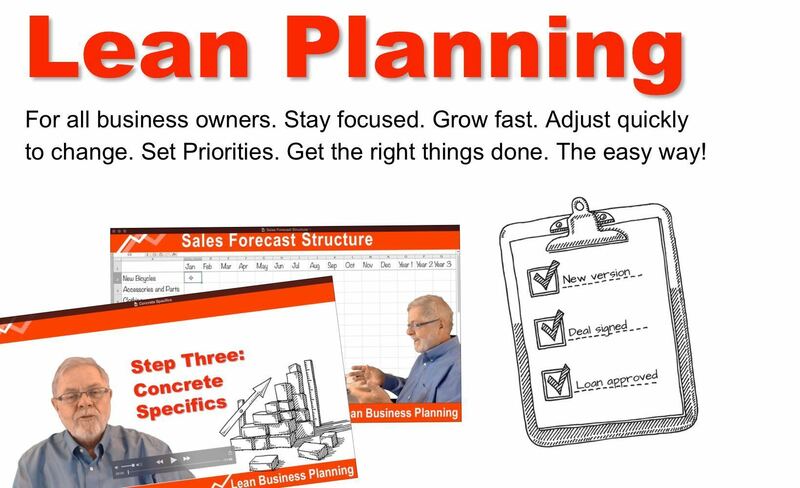 The Economist Group is hosting my new online course on lean business planning. The post Avoid Meaningless Words appeared first on Planning, Startups, Stories. Why would an established author jump a prestigious publisher ship and self-publish ebooks instead? It's not what you probably think. Ultimately, as with John Mackey, other people influencing stock prices, and the companies plugging their own products and knocking competitors in review sites and blogs, there's no good answer to the problem of social media distorted by commercial goals. What? Women Working? Choice? Time Warp! Talk about shock and awe! I thought the arguments about choice had to do with abortion, but no, apparently there's deep division about women working. What, if anything, do we do about those big bad companies that sue Internet Robin Hoods and cute college students for giving somebody else's stuff away? Moonshot, Columbus, Now Woodstock a Myth Too? Oh No! I'm all grown up now, I get marketing, my company depends on it like the rest of small business, but jeez, marketing at Woodstock? That's Woodstock's legacy? The post Infographic: 12 Visual Principles For Everyday Design appeared first on Planning, Startups, Stories. The post New Conversational Commerce App Increases Online Sales appeared first on Planning, Startups, Stories. It's an old joke. Question: In the classic bacon and egg breakfast, what's the role of the chicken, and what's the role of the pig? Answer: the chicken is involved. The pig is committed. Today's stupid business moment is an example of what Malcolm Gladwell calls "thin slicing" or snap judgment in his book Blink: it's powerful when it works and dangerous when it doesn't. To me, this is good news: McKinsey's latest CEO survey shows that enterprise CEOs worry about global warming and environmental issues. On the bad days, in off moments, it seems like my two years in business school were mostly about learning the definitions of a few key buzz words to use in meetings. The post Infographic: Branding for Small Business and Startups appeared first on Planning, Startups, Stories. The Alltop.com launch has come out in pieces, without a lot of fanfare or expense, hoping on that simple power and easy uncluttered view to make it work. I don't want the government or an employer listening into my conversations, putting me on hidden video, or even knowing what library books I read. But privacy has absolutely nothing to do with publishing. It's one of those days. Maybe you have technical problems, or a project that isn't going well, or you couldn't sleep last night. These are things that help break up a bad day.